Tiny reality always hides itself. Tiny reality makes big differences in real life. This story is about a tiny reality that set the base for mermaids. Once upon a time, there lived a tiny reality, hiding from others. It was so tiny and appeared as a sea shell. Generally sea shells are found in ocean. Here, the seashell holds a sea inside the shell. Inside the seashell, in the sea a beautiful mermaid girl lived with her mother. She used to swim all day long. She could swim all day and night without any break. She loved to play with oceans. Her mother warned her many times not to move into the deepest part of the sea. She loved to hear the warnings. Except the time she sleeps, she used to swim in the ocean. One day, she was so happy, and moved deep into the ocean. There was a beautiful palace at the bottom of the sea shell. She reached the palace. Her pink gown was struck. She had her legs grown and became a beautiful girl. It was a deserted palace. A boy lived alone with a curse. He was an eight year old boy. However, everyday his health deteriorates and he get older and older. That was one of the rarest diseases. 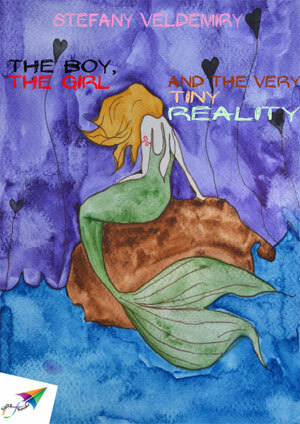 The boy saw the beautiful mermaid and fallen for her. As soon as he saw her, he turned into a young boy, no more an unhealthy child. He wanted to make her happy and shared all the funny jokes and incidents he experienced. Just like every fairytale, this tale of mermaid also ends on a happy note! The story talks about the beauty of the sea shell and the sea linking to the history. Further, the fairy is connected with the eternal stories. At night our mermaid visited her boy and she turned into a girl with legs when the night falls. Although the images aren’t very fascinating, the story will be exciting for kids. Parents can add a lot of imaginations to the story and make it more interesting.